Monday. Workout, 10 x 60, 70, 80kg squat clean. Time, 5.40. Metcon, 10 rds of: 1 power clean (90kg), 10 t2b, 8 burpee. Time, 15.15. Yesterday was a tough day as I didn't get a chance to hit a workout. I was anxious how this day would turn out like. The night was not pleasant to say the least and once I woke up in the morning, my neck was still out of order. Pauliina gave me some magic pill to get going, and it helped. After work day I jumped on my car and was destined to hit a good workout. It was kind of a mystery how cleans would feel like when having the neck a bit sore. It was getting better throughout the day, and by the time I tapped 3-2-1-go I had zero pain anymore. This was a short ladder for time. Just complete 10 reps of each weight, then add 10 kilos on the barbell. And the point was to do them as squat cleans. I took the 60's in 6-4. Could have done 'em unbroken but I thought that might have a fatal influence later on the workout. Okay, I probably should have pushed it some more. The set of 70's was a triple to start with, and then maybe singles. Last set was purely singles. The barbell wasn't that heavy at any time, even with the 80kg bar. Nor that it should be. This is far away from my max loads so it should have been a conditioning workout. It was mostly my lower back that was on fire in this one. Breathing was rather high too of course but that back was the one that prevented me doing faster. Very good workout in my opinion! Recovered my back for a good time after the cleans, and decided not to touch a barbell in the metcon. 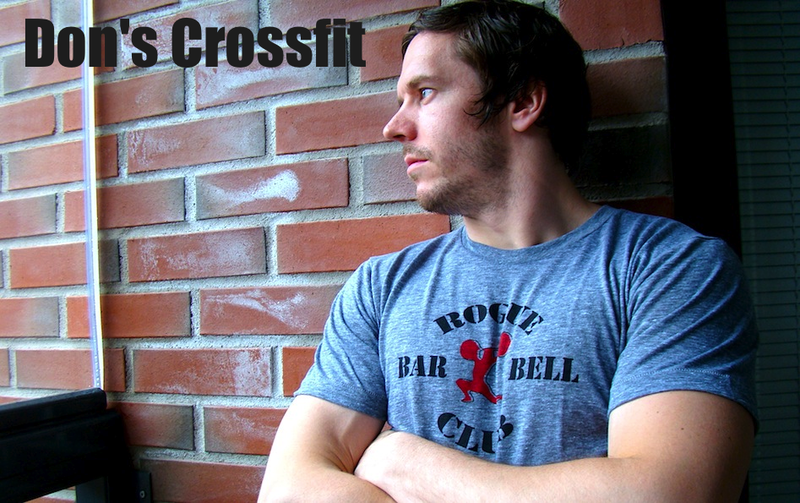 Originally I had kb swings, push jerks and ghd's planned for a 15min amrap. That may have been to rough on the neck so it turned out to be a combination of heavy power clean, t2b's and burpees. And felt good all the way. 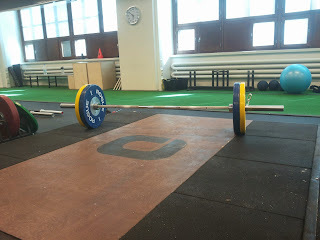 The power cleans felt veery good every single time I touched the bar. That wasn't light. Especially in a workout. My max power clean is 103kg so this ought to be quite heavy. I took my time every round with this single lift. Wanted it to look good and consistent through all 10 rounds. Toes-to-bar's were unbroken for a number of rounds. Somewhere probably at around 5 rounds I started breaking it in two sets. Either 6-4 or 7-3. Just to release the tension of the hip flexors for a while. Then drop down right away after t2b's and recover after that before heading to the bar. I reckoned the clean was the toughest movement for strength so it's smarter to have some recovery between burpees and clean, and otherwise just keep moving.